I’ve learned many useful tools in my Martha Beck training that allow us to change our avenue of inquiry depending on what you need that day. But for people who respond well to more structure, I can offer a coaching series package based on the book Designing Your Life. It was written by two Stanford professors and helps ask a series of questions to help you figure out what you want out of life, which “work” activities make you feel most energized and engaged, what your values are around work and life, and then gives you a framework in which you can design, prototype and compare three different potential career/life choices and then evaluate how you feel about them. I wish that I had worked through a series of questions like this before I went to college. Instead, my immigrant parents gave me the option of being a doctor or lawyer, and since math was a little more challenging for me that everything else, I chose the law without really investigating or understanding the implications of that decision. It took me years to find a path that felt authentic. Whether you’re just starting out or ready to make a big change, let’s work together to design a life that feels right for you. 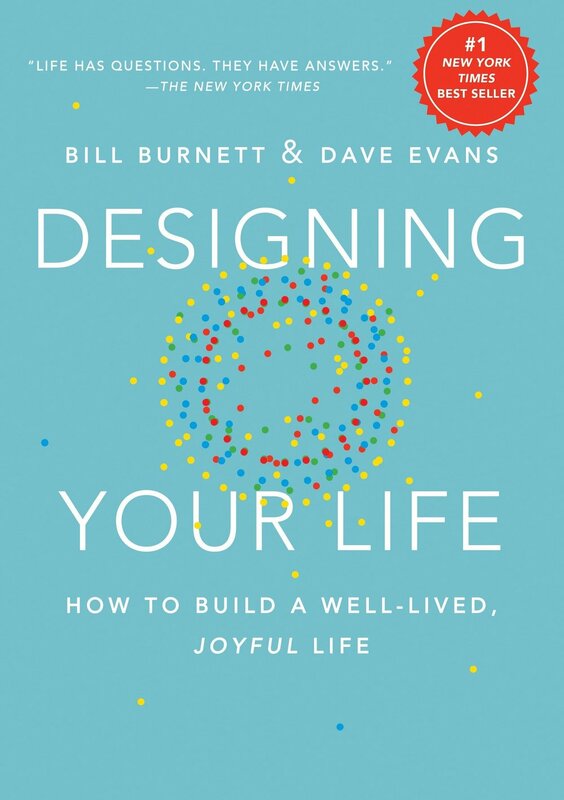 The text for this series is Designing Your Life by Bill Burnett and Dave Evans. The workbook is optional but pretty. Before you start this series, please schedule your complimentary thirty-minute session with Zahie. We can talk about your area of least satisfaction or the area you would like to work on in this series. It might be helpful to read Chapters One and Two before this session, but that’s not required. I would also recommend you read Martha Beck’s book. After that session, if you haven’t already, please read the Introduction and Chapter One and Two. Identify one problem you would like to work on. The exercises are currently designed to explore one’s work life, specifically career change or work-force reentry, but one can apply this framework to many different kinds of problems. Session One: Building a Compass: Please read Chapter Two before our meeting. Either write or take notes on your Life view and Work view. We will discuss them in this session, along with anything we want to further explore from our initial conversation. Session Two: Finding your Happy Place. Please read Chapter Three before this session. Start keeping what the book calls a Good Time Journal (I like to call it an Energy and Engagement journal), either using your current job or your memories of past work or both. We will discuss your insights and explore the conditions. Session Three: Get Unstuck and Find Your Sweet Spot. Please read Chapter Four before this session. Do the mind-mapping exercise. Do the Unlocking Your Unique Genius worksheets I will provide. Session Four: Designing Multiple Alternative Lives. Please read Chapter Five before this session. Make a first attempt at creating three alternative Odyssey plans. Session Five: Prototyping. Please read Chapter Six before this session. We will take a closer look at the nuts and bolts of the three alternate lives to see how they would actually work for you. Session Six: Taking Stock. At the end of session five, we will decide how best to use session six. The book would tell us to read the rest of the chapters, making an action plan, and Building a life design team, but you and I will decide together if that is the right use of our time or whether we need to use other tools to decide how to move forward. Note: Any time after Session Three, we can use the Martha Beck Dreaming and Scheming Tools to explore your ideas. These include the Dream Analysis and Metaphor Tools.